- No programming language is complete without learning the Data Structures. This course goes through the various applications of programming languages to solve critical problems. Complete C & C++ Programming & Data Structures are important for Software Developer, at 5Square we train all aspects of programming, ..
Data Structures through C is specially designed to serve as a study companion for undergraduate students of computer engineering. Beginning with an introduction to data structures, the course moves on to present Arrays, Strings, Stacks, Queues, Linked Lists and Trees. This course provides exhaustive coverage of different data structures like lists, stack, queue, trees. Graphs, Tables and their implementation. Application of these data structures is also covered. 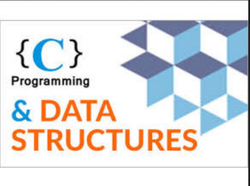 Course Name: Data Structures: Duration: 45 hrs (Including Project).